Kasabian in Montreal or Quebec City? Inform me about the next events for Kasabian. Enroll yourself to our priority waiting list for Kasabian to be alerted when new tickets are available. Filling this form doesn't engage you to any purchase. 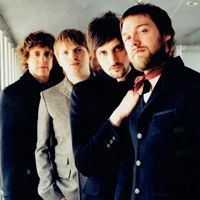 Kasabian will be performing at the Corona Theatre, in Montreal, sometime in 2012, according to La Presse. The exact date is not yet known for that Kasabian concert in Montreal but we will keep you posted as soon as the information is revealed. Kasabian released their fourth album, Velociraptor!, in September of 2011. A deluxe version will be released in January.